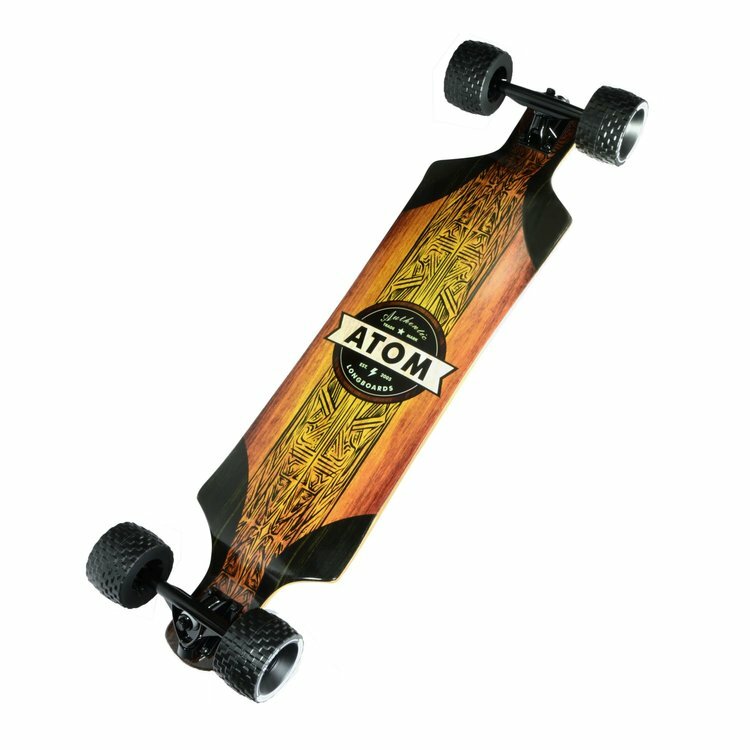 Whether you're a seasoned longboarder looking for a new challenge, a beginner looking for a board that will roll over anything, or a campus cruiser who just doesn't feel like walking when the pavement ends and dirt begins, the Atom all-terrain longboard will get you where you need to go and turn a few heads along the way. Don't be fooled by look alikes - genuine MBS AT 100mm wheels are the only all-terrain wheels that use top-notch Super High Rebound urethane which means they're as fast on road as they are awesome off-road. Wheels: Genuine MBS 100mm X 65mm All-Terrain wheels are cast with 78A super-high-rebound urethane for a perfect blend of on-road speed and off-road traction. 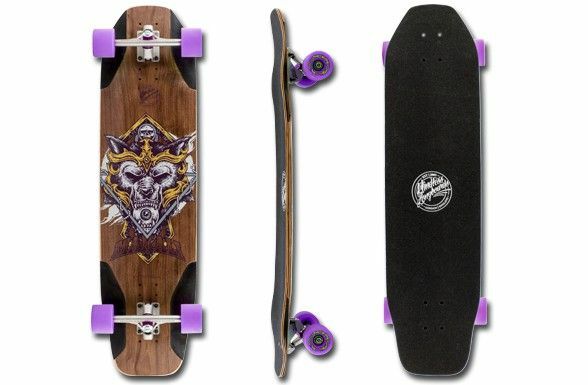 Deck: Sturdy maple-lam drop deck keeps your center of gravity low for pushing and off-roading. Trucks: Reverse King Pin - 50 degree base - 7 inch aluminum hangers - heat treated CrMo axles - Grade 8 King pins. Bearings: Rubber shielded ABEC 9 with high speed lubricant. 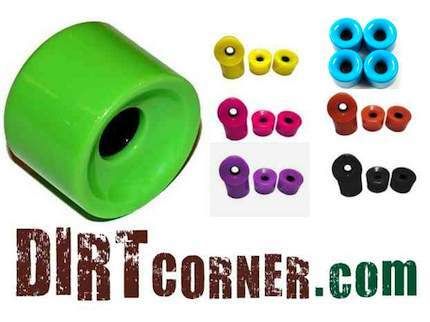 Grip-Tape: Super coarse 46 grit Off-road grip.